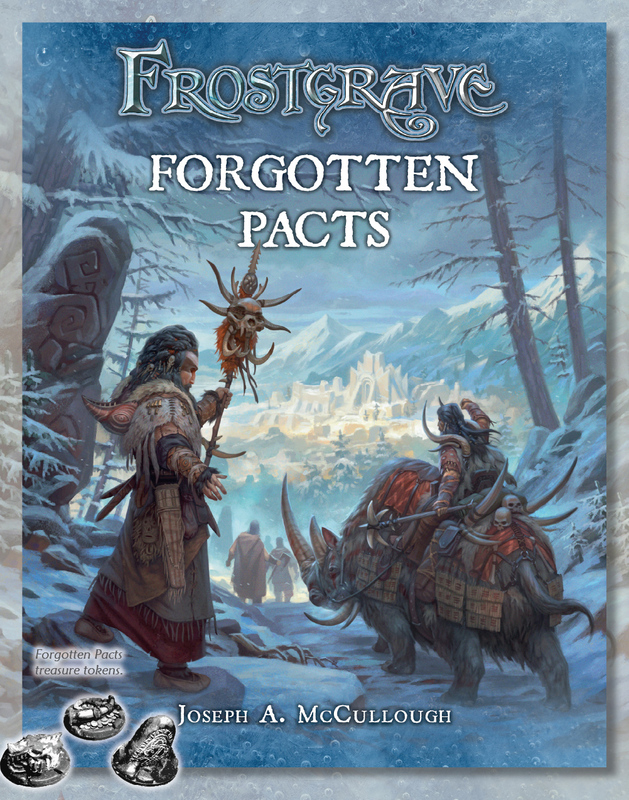 In this supplement for Frostgrave, players lead their warbands into the northern reaches of the city, exploring the ruined temples of the Frozen City to search for the lost secrets of evocation – the art of summoning demons. While the lure of such knowledge is great, few wizards have ventured into this region as it is overrun by barbaric northern tribesmen who have descended from the hills in their own search for treasure. Marking themselves with demonic sigils, many of these barbarians have aligned with ancient powers discovered amongst the temples. Along with a host of new scenarios focusing on the exploration of the temples, the book also contains new treasures, spells, soldiers, and creatures that can be found amongst the ruins. I have managed to get an early drop on what can be expected and as usual there will be a few extras depending on how much the funding raised. As well as early bird deals and a competition at the end of the first week. You will be able to back the Nickstarter at different Tiers. 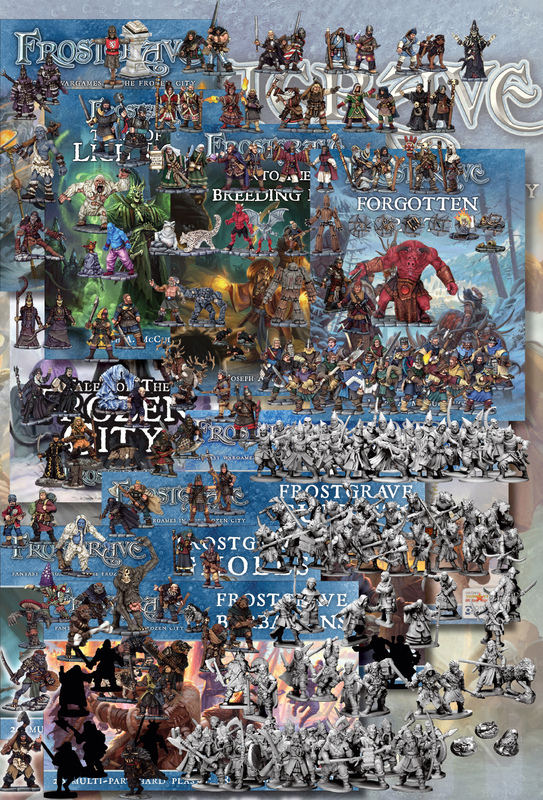 Tier Four: This will get everything in tier 2 (Forgotten Pacts supplement, Treasure Tokens Plastic Barbarian Box) and 12 metal barbarians and a Frostgrave Calander. Which finally leads us to Tier Five, the big boy the daddy of every adventurers hunt. I was hoping to be able to list everything but I havent got time and there are some bits that I can’t remember the name off but, basically Tier 5 (I think last time it cost £300) Gets you everything. Sorry that was an understatement I ment to say tier 5 gets you EVERYTHING ever funded through the past Nickstarters for Frostgrave. I backed the Lich Lord last year and was impressed by the turn around in product. 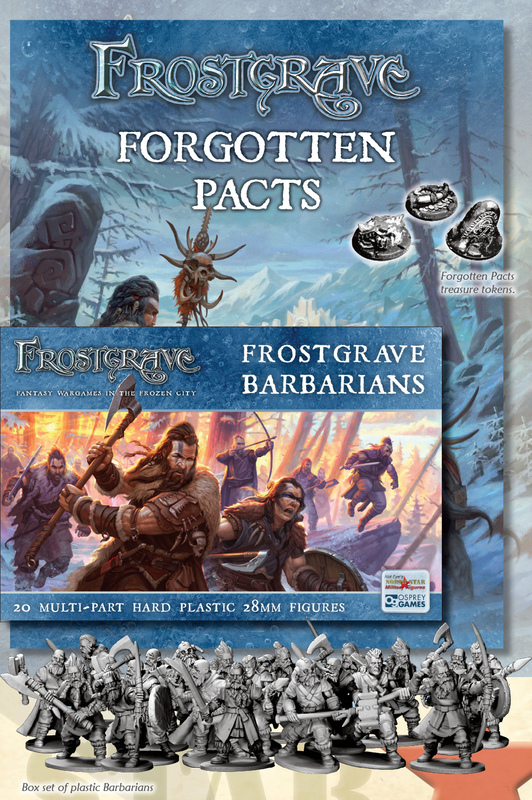 I am hoping to find a very generous donor this year as my frostgrave collection is lacking somewhat and the top tier is just packed with great stuff. The only dissapointingly part is no compendium of rules in one book, but I keep hoping that will come soon.